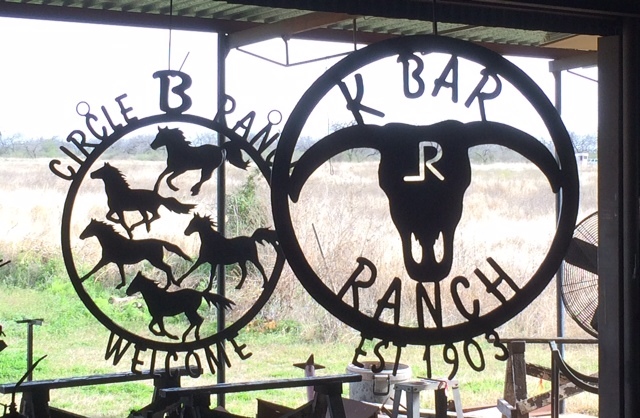 The Circle B Ranch sign that is hanging in the shop area is a custom sign for a California customer who said his family was a five horse family. 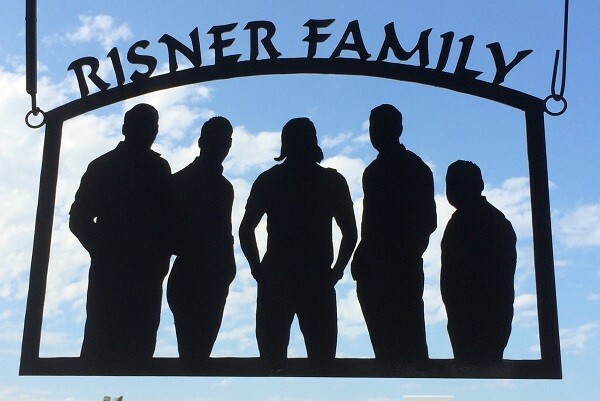 Sign is cut from the typical 3/16" plate and painted black with the Rustoleum black hammered finish paint. 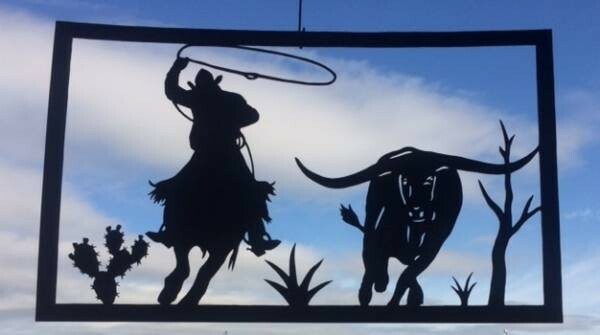 A simple cowboy roping a longhorn cut out of 3/16" plate and painted black.